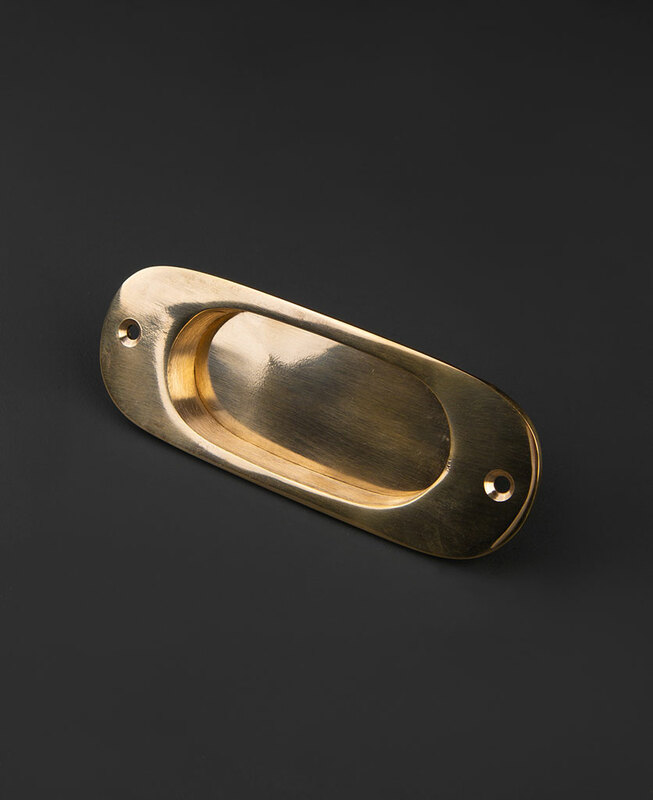 Our kitchen door handle Pad is a sleek and shiny handle with a minimalist design. 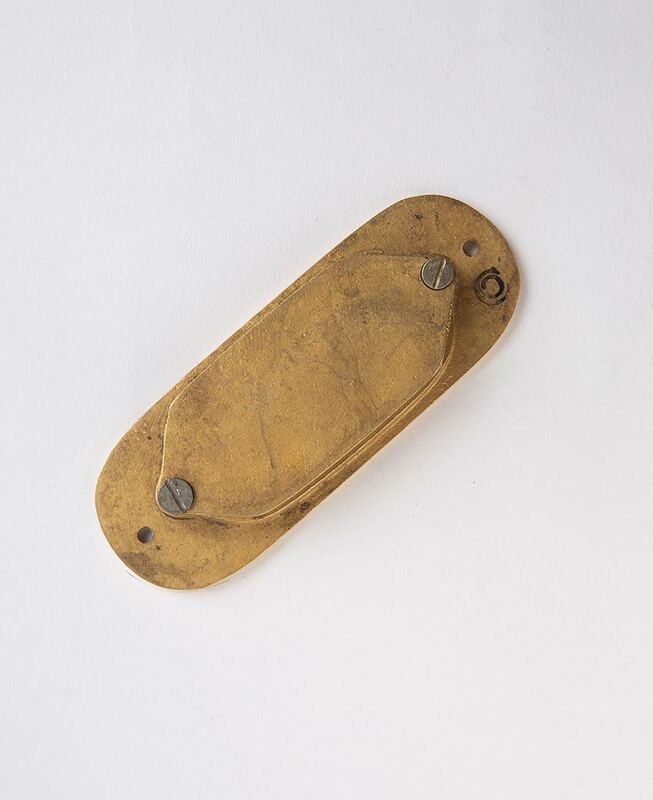 Made of solid brass it’s rugged and industrial – with a sophisticated finish. This elegant handle has a retro vibe about it. Our solid metal kitchen door handle Pad is a gorgeously minimalist handle that will add a sophisticated edge to your interiors. Made from solid brass it’s the perfect accessory to add a hint of opulence to an industrially styled kitchen. 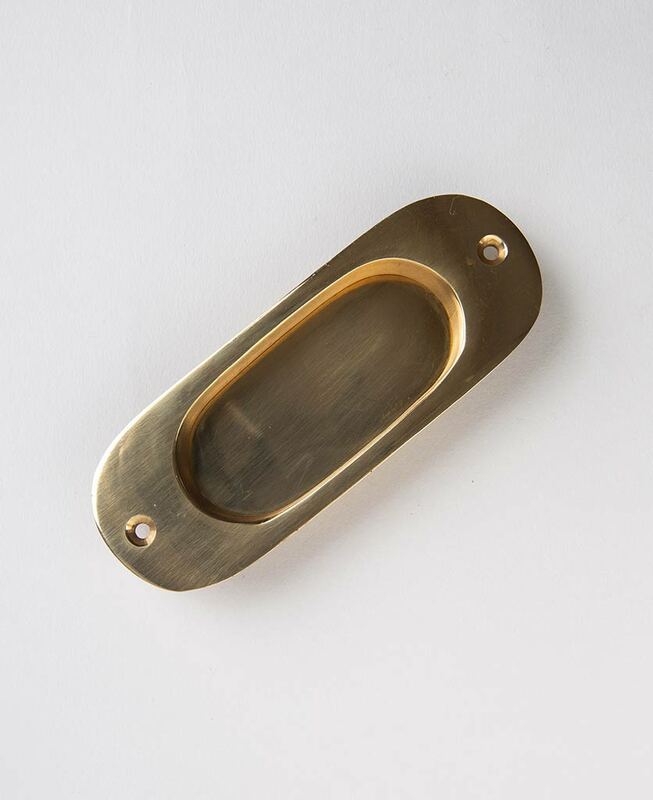 This Pad kitchen cupboard handle is finished in polished brass and looks amazing against a range of interior styles and colours. To add a subtle elegance to a minimalist kitchen use on matt white painted cupboards. Coordinate across kitchen drawers too to create a gorgeously polished aesthetic. The design of Pad means that it fits flush to your cupboards and drawers, making it stylishly unimposing. We love Pad in darker interiors too where it can really make a statement. For a dramatically regal vibe place on moody grey, navy or black cupboards. Accessorise with gold fixtures and fittings for maximum impact.